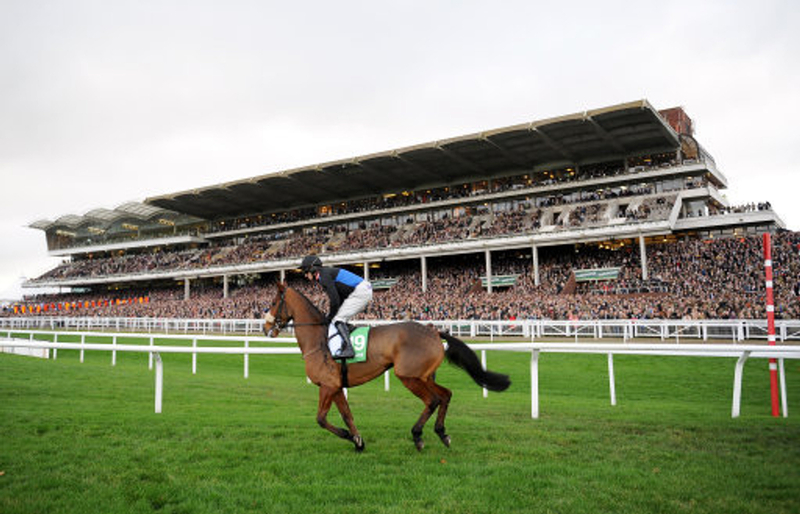 Fret D’Estruval can take the curtain raiser on International Hurdle day, in the JCB Triumph Trial Juvenile Hurdle. This is his first start since switching to Alan King's yard under the ownership of Munir and Souede. He won two of his three races in France, with his debut being brought to an end after 100 yards having clipped heels with a rival. Le Breuil has strung a few fine efforts this term, and can be hopeful on returning to the winners enclosure in the Ryman Novices' Chase. Having won on his season reappearance - albeit in a two-runner race at Huntingdon, he was a neck second here to Count Meribel last month, and has since finished a creditable third to smart-novice and RSA fancy Santini. Good chance for a stable in form. Bun Doran can follow up his win around here last month, with victory in the Cheltenham Club Handicap Chase. Tom George's 7yo was a comfortable winner in the BetVictor Handicap Chase, and comes up against formidable rivals once again. Has a good record round this course, as does his jockey, who racked up a big-odds hat-trick a few weeks ago. The big handicap of the day is the Caspian Caviar Gold Cup, and the field is so big we have had to nail it down to two selections; the current favourite Rather Be, and Robert Walford's Mr Medic. Mr Medic on-the-other-hand put in an extremely fluent round of jumping around Ascot three weeks ago on his first start stepping up in trip. He is up 9lb as a result but looks mightily progressive, and not to be ignored here whatsoever. He looks a big player on his latest 2m5f win at Ascot latest, and looks highly likely to stay the three miles. Another card for the Nicky Henderson battalion, who can simply do no wrong at the moment. The graded action continues and ends with the Unibet International Hurdle, with several Champion Hurdle hopefuls looking to throw down their credentials to the Fighting Fifth winner Buveur D'Air. Nicky Henderson is represented with We Have A Dream, but we have selected Silver Streak who was just denied in the Greatwood here last month. In a race with several hurdles omitted, he still ran with much credit when missing out on the hat-trick, but he is the one horse in the field clearly still on the upgrade. The final race from Cheltenham is the OLBG.com Mares' Handicap Hurdle, and Sensulano looks the one to side with here.